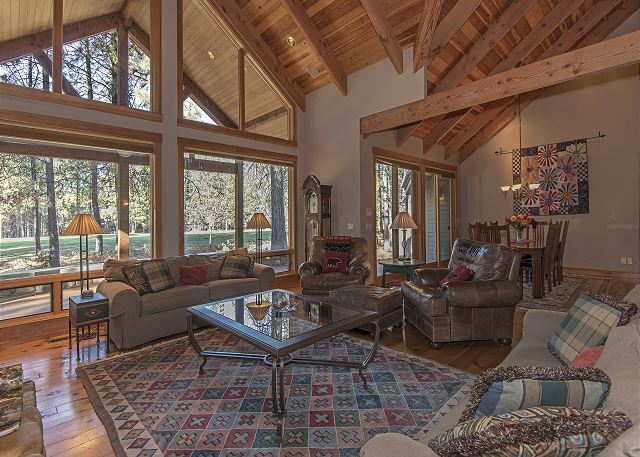 This stunning home will exceed all your vacation rental needs. The 3,363 sq. 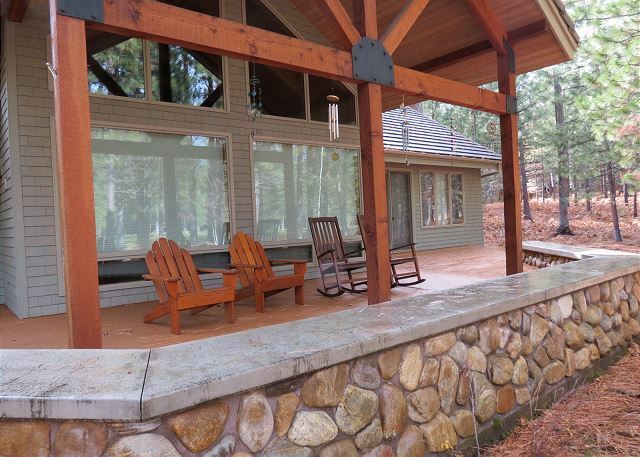 foot open floor plan will easily accommodate your extended family. 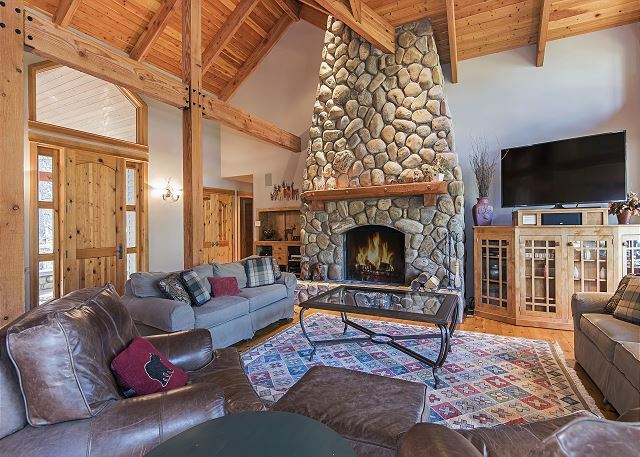 A large river rock fireplace in the open great room, beautiful gourmet kitchen, television area for the kids, spacious decks and sweeping views of the 12th Fairway of Glaze Meadow, are just a few of the wonderful features of this home. 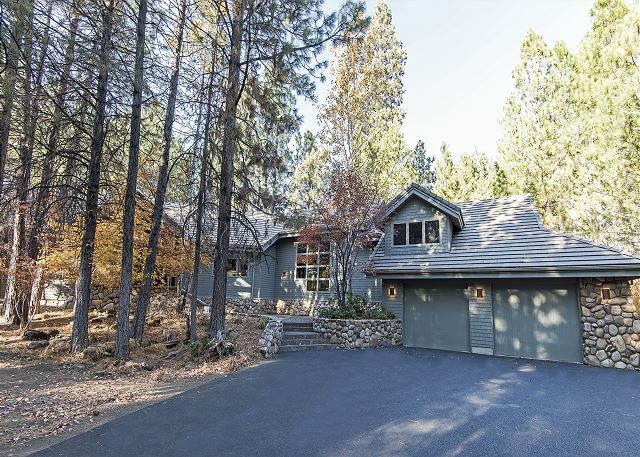 As you walk into this beautiful home, you will see vaulted ceilings, hardwood floors, floor to ceiling windows, a huge river rock fireplace, and an open concept floor plan. The kitchen is very large with miles of counter space and lots of cabinets. 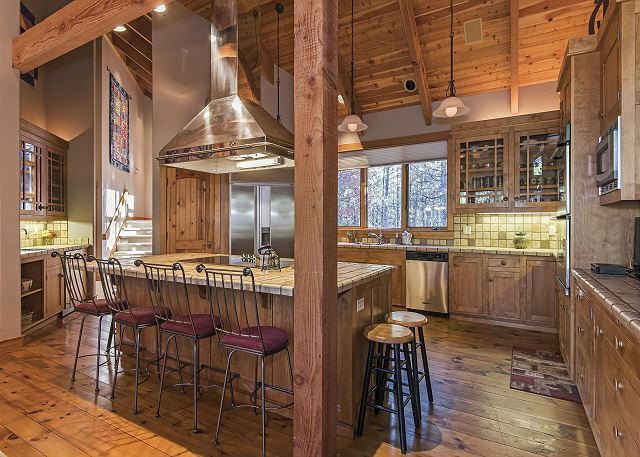 There is an eating bar off the kitchen island and the adjacent dining table is large and inviting. To the left of the kitchen is a 1/2 bath off the hallway, which leads to the huge master suite/sitting area and bathroom. The sitting area has a television available. All the rooms have stunning views of the 12th fairway of Glaze Meadow. To the right of the entry and past the kitchen takes you to a queen bedroom and a king bedroom with a full jack and jill bathroom. Down the stairs leads to the laundry room with a full size washer and dryer and the door to the garage. Back up the stairs and up another flight of stairs takes you to a fourth bedroom/sitting area with two sets of bunks and another queen bed. There is a large sitting/tv viewing area plus full bathroom. 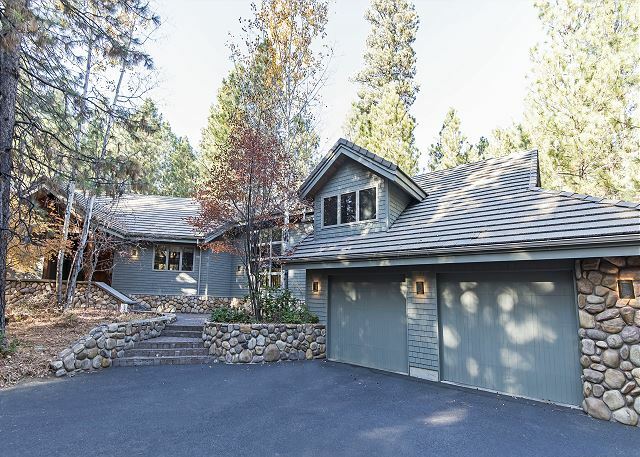 This is an exceptional house in every way, including the extended covered deck off the dining and living area. You are just a short drive or bike ride away from the new upper Glaze Meadow Pool. Our group has been getting together for 35 year. The perfect lodging for us includes a well equipped kitchen, large dining table and a great room where we can all hang out together. This was it. Glad to hear you enjoyed your stay at GM-299! Thank you for booking with Howells. Hope to see you again next year! Our stay was perfect. The living room space was ideal for our small ensemble of musicians rehearsed together with the beautiful view to inspire us. We enjoyed cooking together in the spacious and amazingly well stocked kitchen. Everyone was comfortable in their bedrooms. We're very happy to hear you enjoyed GM-299! Thank you so much for booking with Howells. We hope to see you again next year! Our group of ten included 2 babies and a 3 year old. 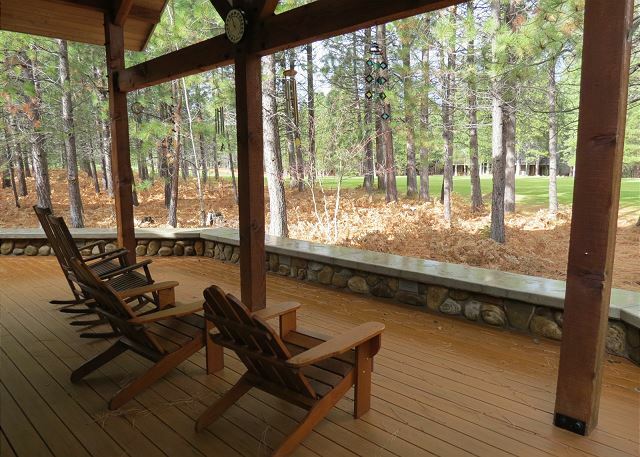 The layout of the house permitted quiet for some while others were enjoying the deck, the views, the kitchen and of course all the amenities of Black Butte. Amazing place for a family reunion! The house was was well stocked for the 12 of us! We spent countless hours on the deck enjoying the view and the great furniture! Perfect kid room with bunk beds and a double! Loved it! Only small complaint was the WiFi was pretty off and on but that’s small potatoes!